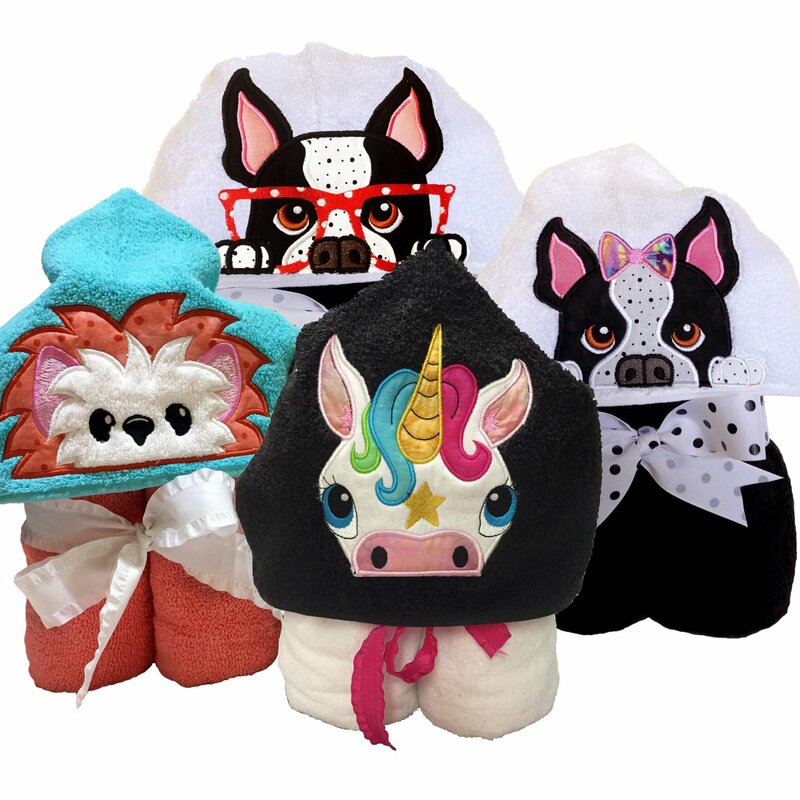 Desiree's Hooded Towel Collection Vol. 1 combines all of our popular hoodies for download. Included are the Unicorn, The Boston with a bow, The Boston with glasses, and the Hedgehog. Each one comes with their own color chart and easy to follow, full color instructions to walk you through the whole process. I have even included a video on how to fold them available on under Tutorials on my website. Requires a 5"x7" (130mmx180mm)hoop and it comes in all of these formats.